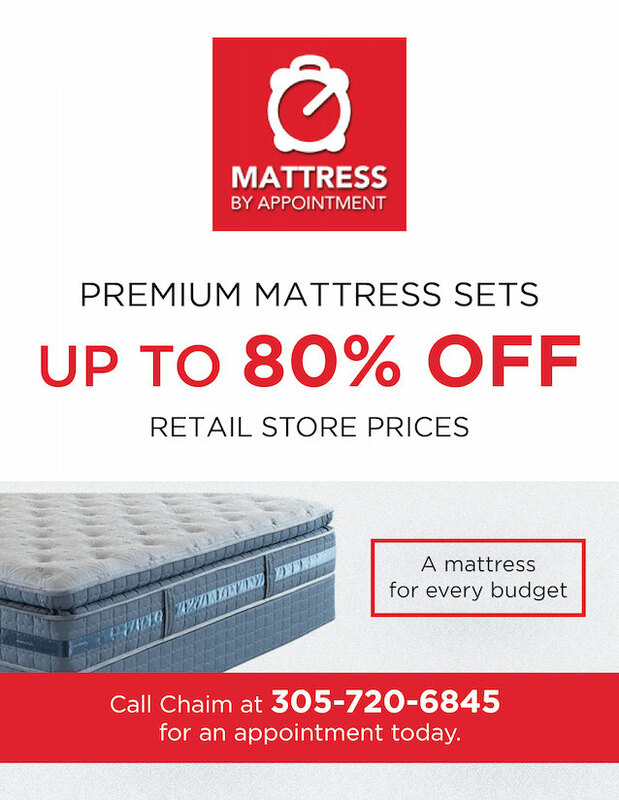 Mattress By Appointment is offering Premium Mattress Sets Up to 80% Off Retail. Everything is brand new and up to 80% off retail store prices. Experience sleeping delights like never before. Sets start at $120 and go up from there. One on One service offered along with a special meeting. No pushy salespeople. Quantities are limited and first come first served so call now. Call at 305-720-6845 or book appointment here. NextFROM FOOTBALL TO SHARKS : 110 and PRAISE ( LAUD ) ! When Should you Trim Your Miami Dade Trees?